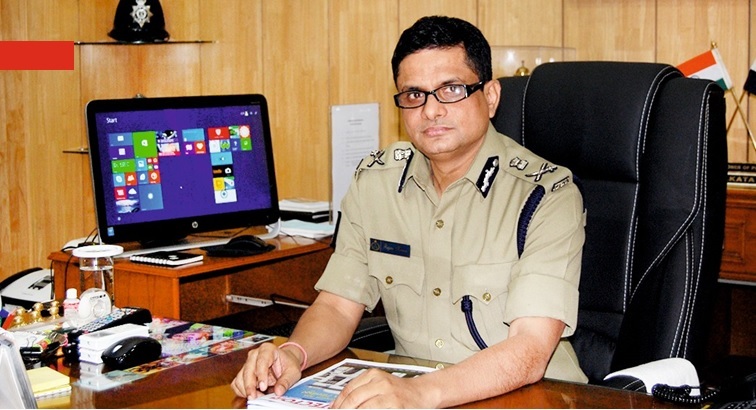 Kolkata Police Commissioner Rajeev Kumar on Monday appeared before the CBI for questioning for the third time in connection with investigations in chit fund cases. He arrived at the CBI office at 11 am, an hour after former Trinamool Congress leader Kunal Ghosh, another accused in the chit fund scam, arrived. The Central Bureau of Investigation (CBI) on Sunday again questioned Kolkata Police Commissioner Rajeev Kumar and former Trinamool Congress parliamentarian Kunal Ghosh separately, and then together, in connection the Saradha and Rose Valley chit fund scams in Shillong, the capital of Meghalaya. Both Kumar and Ghosh were still inside the CBI office at Oakland area in Shillong, till 10:30 pm on Sunday night. The Kolkata police chief reached the CBI office at 10.20 am and faced the interrogators for a little more than three hours before a lunch break. Soon after Kumar returned to the CBI office at 3:15 pm, investigating officer Chuzom Sherpa joined the interrogating team and interrogated him in connection with the Rs 17,520 crore Rose Valley chit fund scam. “We are not authorized to speak about what the IPS officer (Kumar) and Ghosh said. Kumar was interrogated individually, first in connection with the Saradha case and then with the Rose Valley case before the accused (Ghosh) joined him in the evening,” a member of the CBI investigating team told waiting media persons on condition of anonymity. “The CBI is interrogating the very police officer who grilled me. This is my moral victory,” he added. Ghosh, a former Rajya Sabha member, had earlier implicated former Union Minister Mukul Roy, who has switched over from the Trinamool to the Bharatiya Janata Party (BJP), and 12 others in the Saradha chit fund scam. Earlier on Saturday, the central agency interrogated Kumar for eight hours for ‘withholding and tampering important documents’ in the scams. Kumar arrived in Shillong on Friday evening from Kolkata via Guwahati after the Supreme Court, while hearing the matter on Tuesday, directed him to join the probe at a ‘neutral place’ in Shillong. He was accompanied with three other senior state police officers – Additional Police Commissioner Javed Shamim, Special Task Force chief Murulidhar Sharma and CID chief Praveen Kumar Tripathi.